I have contemplated writing this post for a few weeks now. At first, I felt like I shouldn't because the last thing I want to do is offend anyone. But, with our college & career pastor's message yesterday on evangelism in which he pulled from the Great Commission passage, I felt God tug at my heart and tell me to write it. Sometimes, friends, it's good to be offended. Healthy, even. Hopefully if a message offends you, it also gives you an opportunity to check yourself and ask yourself why exactly you are offended. Is it because the person's message is vulgar or rude? Or could it be that perhaps your own beliefs have somehow been warped in some way. Believe me when I say that I have been offended on numerous occasions. Sometimes it is because the other party has no filter and/or is simply rude and their end goal is actually to offend. But more often than not, it is because the opinions/message/actions of the other person struck a cord with me and caused me to reassess my own thoughts, opinions, or actions. That's my goal here. Bear with me. Besides loving the Lord and loving others, what would you say was Christ's most important commandment? You may disagree but I believe it can be found in Matthew 28:19. "Go therefore and make disciples of all nations, baptizing them in the name of the Father and of the Son and of the Holy Spirit" (emphasis mine). This is The Great Commission. I discovered recently that there are "Christians" who are actually against foreign missions. This is mind boggling to me. How can you read that verse above, claim to be a Christ follower, and then turn around and say you are against foreign missions? The very life of that verse is tied to what we would consider foreign missions. The disciples themselves & the apostle Paul were foreign missionaries. I studied a bit last night to remind myself of the places Paul traveled to: Antioch, Syria, Macedonia, Thessalonica, Athens, Corinth, Ephesus, Rome. If it were not for the foreign ministry of Paul, especially the ministry to the Gentiles, I would not be here today. I would not be writing this to you. What if the disciples had stayed put, only preaching in their hometown? What would have happened? So I ask again, how can a Christian be against the very thing that became the catalyst for them to even be saved? I've heard the argument: there is so much to do here. That is true. There is a lot to be done in America. People are lost in America. You are absolutely right. But then, if that is in fact your position on the matter, I must ask, what are you doing here? What are you doing to change the lives of others or show Christ's love to others? What does your missionary journey look like here in America, in your state, city, or on your very street? If you are working feverishly to further the Kingdom in your current locale, then keep on keeping on. Personally, I find it difficult to understand how a Christian can be against Kingdom work ANYWHERE. If people are being saved, if the angels themselves are rejoicing over the lost souls coming to Christ, then how can we be any different? Are we that self-minded here in America that we are against our brothers and sisters bringing the Gospel to "all nations?" Now, let me be clear. I do not think that God calls each individual to cross the "great pond" to another country (I certainly do not have that calling). Clearly He has given us each our varying mission fields: for some it's their own homes or families, for some their work place, for others it's their neighborhood or town; but for many others it's Africa or Mexico or Russia or China or somewhere else overseas. And if we don't support that, if we say we're against foreign missions, then let me be frank: we are against Christ. Plain and simple. There is no watered-down version to make that pill easier to swallow. Again I say, if you are against mission work simply because it's not in your own country, you are against Christ and His work period. 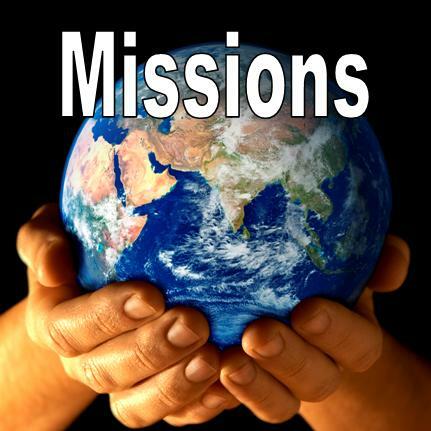 Being against foreign missions is being against lives being saved and brought into the Kingdom. Being against foreign missions is, in effect, saying that God doesn't call Americans overseas...and who are we to say what He calls anyone to, as long as it's biblical? This whole mindset simply does not coincide with biblical faith or with a loving God who sent His Son to die for ALL. Again, my goal is not to offend for the sake of offending. It is not to say, "I'm right, you're wrong." It is simply to get you to think about your opinions and beliefs in a different light. In His light. In the Light of the One that saved you and saved me from the very brink of death, the One that paid the price for our sins, the sins of you, me, and all the other lost souls around the world. Just...think about it. You might not be traveling to the ends of the earth, but we all should be praying for and supporting those that do. The saying goes, "Ignorance is bliss." Sometimes, I think that's really the truth. In our quest to live healthier lives, my husband and I have also periodically watched documentaries on Netflix. I think I've mentioned before that I have become a documentary junkie. I've watched them about the state of maternal care in America & bullying, hubby has watched them about military, and we've both watched several "foodie" documentaries. The first one we watched last year sparked my interest in turning completely vegan, which I found to be nearly impossible. I'm a cheese girl...and vegan cheese is so NOT even close to the same thing. So, I've settled on vegetarian (okay, flexitarian, you caught me). I don't have any meat in the house and the only time I do eat it is really is at my mother-in-law's, and usually just chicken and fish. I've slipped a lot this summer but I've jumped back on my wagon full of veggies and I'm sailin' along. Anyway, the latest documentary we watched was called "Farmageddon." Oh. My. Gosh. It has me wanting to support local farmers like never before but also has us ready to start our own garden. The section we're using is ready to go. We just need the seeds now...and we want organic. I'm researching for the best and most economical place to buy organic seeds from. 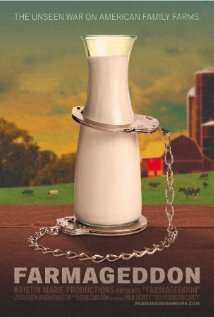 We also watched another documentary (not sure of the title) that took a hard hitting look at our current food system. What a disgrace! People, get informed about the food you buy! If people went back to the basics of good, fresh food like they ate a century ago, we wouldn't need health reform in this nation because that would be the reform. We have all this food at our fingertips and yet, people are still starving and are still undernourished. We eat more but have less nutrition. Half of things we buy in the store are empty, wasted, good for nothing calories. It's a bit scary to think about. Now that we are informed, it's a matter of what do we do next? The garden is definitely at the top of the list. But we really want to move into purely organic food. And there's a price to pay for that. In retrospect though, it's cheaper than a heart attack or cancer. We've talked about moving toward almost full sustainability where we learn to make...everything. Our own pastas, breads, peanut butter, almond milk, etc. If we buy the basics but make our own...perhaps that will save us money in the long run. It may be more work but at least we would have the peace of mind knowing what's really going into our foods. It's something we're talking about. Any homesteading folks out there have any tips for some newbies? Last night we also started watching the docu, "Tapped" about the bottled water industry. Um, pretty much never buying another plastic bottle of water...ever. Our society is so blind. So were we for some time. We're informed now though. And while our ignorance may have been bliss for a while...we're glad to know what we know now. We can start the journey to making changes that will further benefit our health but even the health of the environment. When you're a child, you tend to take a lot for granted. You don't necessarily see the intrinsic value of certain circumstances or situations or simple things for that matter. Frankly, some adults never grow out of that stage. But, now that I'm a grown woman and a wife with a child of my own, I recognize the invaluable moments that shaped my life. Many of those moments were made on my grandfather's property in northern Alabama. That plot of land on New Center Road holds more memories for me than I can even dare to count. Growing up, I didn't realize how significant that place was to me. As I get older and the times that I am now able to make it up there, I see just how important that place has been and always will be to me. Not many children can say they spent their summers on acres of rolling hills with a pond to fish in, woods to hike and imagine through, and more family than perhaps one would want at times. Summers there now look quite different than they did 10 or 15 years ago when Great-Grandma was still living and the croquet game was still set up in the open field. My grandfather had taken the blades off of an old lawnmower that I used to drive around (redneck golf cart style). I'd drive around the pond or down the driveway to Great-Grandma's or across the field to Great Uncle Horace's. I can remember fondly vividly the time I ran over my own foot with the darn thing. Don't ask me how. At least one week out of our usually 2 or occasionally 3 week stay was spent with Katie and Jenny, girls from Illinois that were just like family. Traditions were big and of utmost importance to us. The week with the girls was perhaps one of my favorite parts of summers on New Center. We always went putt-putt golf and then went to the 50's McDonald's for Coke floats until they stopped serving them one year. On the way to just about anywhere, we would tell the most off the wall and corny jokes you can think of. "What did the toaster say to the ocean? Where's the butter!?" Dumb? Yes. Did we laugh? Hysterically! We played countless games of croquet and spent hours on the dock by the pond or doing gymnastics and making whirlpools in the pool. I won't delve into the hilarious entertainment I provided each summer but lets just say Grandmother Preach rests in peace. We'd head outside every evening and run around catching the fireflies. Inevitably, whether there for 4th of July or not, we'd have a "wiener roast" over a bonfire by the pond underneath the pine trees that have since been cut down. S'mores and hot dogs and lots of laughter were always on the menu. I spent a lot of time this past week thinking back and reminiscing about the "good ol' days." It's an absolute blessing that my son gets to experience some of the same joy that I did, albeit a bit differently. My grandmother still cooks a mean pot of chicken-n-dumplins and my Grandpa is still one of the greatest men I know and I enjoy watching my husband just sit and talk with him. For the first time in years, I went out in the boat with Grandpa. He and I used to go fishing every year. It had been too long. God answered a somewhat selfish prayer of mine after his motor went out and we thought we wouldn't get to go. It ended up being a simple fix and a mere fraction of what they thought it might cost so Wednesday we were out on the river. I can't explain how refreshing it felt to have the wind against my face as he gunned it toward the selected brush pile. I didn't catch anything of course, but that's beside the point. Just being there with my husband and Grandpa was enough for me. I caught a few in the pond to make up for it. Though there wasn't a croquet game to be played or a modified lawn mower to ride or a bonfire to gather around, it was a nice trip. Gabe was introduced to fishing for the first time and we even spent a few minutes one evening trying to catch fireflies. It's the true south up there. It's sad that living in Florida, you actually do have to travel north to get to the south. The talk is slower, the tea is sweeter, front porches are bigger, and it's like home to me. I am a southern girl at heart. Born and raised in the city...but my heart I swear comes from the south. I love it up there. And no matter what future summers may hold, my summers on New Center will always have their own special section of my heart. The ol' dock...I love this property! The old tractor and camper next to the old tool shed.